A Tata Power spokesperson characterised SUEK as a reliable and world-class mining company and called the deal a “major milestone” for Tata Power’s aspiration to become a significant energy player in the international arena. The Tata Group had revenues of US$103 billion in 2013-14 across seven business sectors, making it India’s biggest conglomerate. Tata Power is its energy sector flagship, and had revenues of about US$5.8 billion in 2013-14. Tata Power’s agreement with SUEK helps the Indian company to gain a new range of energy opportunities in Russia and other areas. 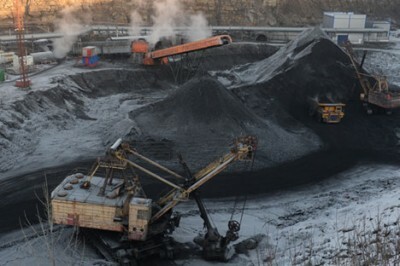 The coal production volume of SUEK equals almost 100 million tonnes a year — or more than a quarter of Russia’s total production — from 17 open-cut and 12 underground mines in Siberia and the Russian Far East. SUEK, controlled by Russian billionaire Andrey Melnichenko, says it provides more than 40 per cent of the coal used by Russia’s power industry, and it claims identified and potential coal reserves of 5.6 billion tonnes. SUEK has a majority share in the Murmansk commercial seaport above the Arctic Circle in the northwest of Russia, and has recently modernised its Russian Far East coal terminal at Vanino port, near Khabarovsk. Vanino and Vostochny port near Nakhodka deal with Russia’s Asian coal buyers such as China, Japan, South Korea and Taiwan, and the trade is on the rise. India is the world’s third largest coal producer after China and the US, with annual output of more than 600 million tonnes. State-controlled Coal India Ltd alone has a 2014-15 production target of 507 million tonnes. But due to cost and logistical factors, and because of Indian domestic coal’s low calorific value and high ash content, the country still has to import thermal coal — more than 160 million tonnes last year, according to a Reuters report. In addition, many of India’s coal-fired plants use outdated subcritical boiler technology, which results in efficiency and air pollution issues. One of the few supercritical technology plants in India is Tata Power’s 4000 MW Mundra plant in Gujarat state, which uses coal imported mainly from Indonesia. The first 800 MW unit began operating at Mundra in March 2012, while the fifth and final 800 MW unit came on line in March 2013. It is India’s third largest plant. India still has a long way to go in power plant efficiency. China, for example, has obliged all new coal-fired power plants above 600 MW to surpass the supercritical stage and utilise ultra-supercritical boiler technology — usually defined as pressure of 300 bar and temperatures above 593C — which has already been adopted in Japan and Northern Europe. The deal between Tata Power and SUEK could prepare the ground for boosting Russian coal sales in the Asia Pacific region. SUEK is already Russia’s largest coal exporter, with international sales of 45.6 million tonnes in 2014, or a gain of 5 per cent over the previous year. The company says its goal is increasing exports to China, Japan, South Korea, Taiwan “and other countries of the Pacific region,” as well as preserving its role of a major supplier of thermal coal in the Atlantic market. Based on materials from The Australian.